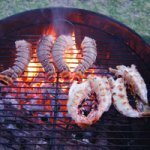 Barbecue or grill - what's the difference? Which is it and what's the difference? Ok, which is which and is there a difference? Barbecue or grill? You hear them both all the time, almost interchangeably. 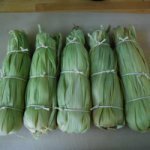 Yet most people don't know what the difference is between barbecue cooking (or BBQ) and grill cooking. We'll I don't blame you...it can be confusing! So what's the answer? Barbecue sauce - For example, you've all heard of barbecue sauce, but who's heard of grill sauce? Barbecue sauce usually refers to a specific type of sauce that can be used on meats either cooked on a grill or barbecue or even cooked in an oven. 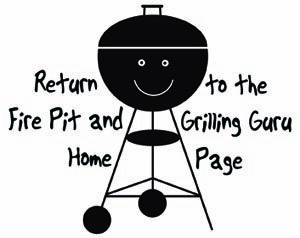 Here, the word barbecue refers to a type of sauce, typically a rich, thick, slightly spicy tomato-based sauce. 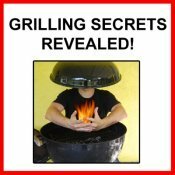 Southern cooking: indirect heat cooking - In the great South, there are many areas (such as New Orleans, Memphis and parts of Texas) where barbecue cooking is used to refer to foods that are cooked at a lower indirect heat and cooked for a prolonged period of time to result in tender juicy cuts of meat. Sometimes this does not even imply cooking over charcoal or fire at all! It can be in the oven or stovetop. If on a grill, this can be accomplished by smoker cooking or indirect heat. Indirect heat is accomplished by separating the charcoals so that your food is not directly over them. The lid is then closed so that the food heats by convection of the hot smoke and air inside your grill, similar to how food cooks in the oven. This allows larger cuts of meats or whole poultry to cook slowly, cooking thoroughly on the inside before the outside is burnt to a crisp. 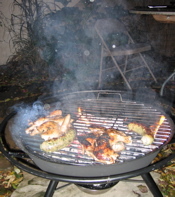 Grill cooking: direct heat cooking - On the other hand, some people would refer to grilling as direct heat cooking. In this type of grill cooking the food is cooked at high heat directly above the heat source. This allows quick searing of the surface of the food, leaving the inside tender and juicy. This is great for smaller cuts of meat or cuts you want more on the rare side in the middle, like a nice juicy steak. These differences used as examples are not universal. So don't assume someone means what you think they mean when they say barbecue or grill. It can mean different things to different people. But in the big scheme of things, they really are interchangeable to most people, unless you're in the South! Barbecue or grill, got it all figured out?